Aggressive growth brought Sunset Neon to Hamilton. The company, which designs, builds and installs permanent and print exterior and interior signs and wayfinding for retailers, destinations, and institutions, just keeps accelerating double-digit revenue growth. 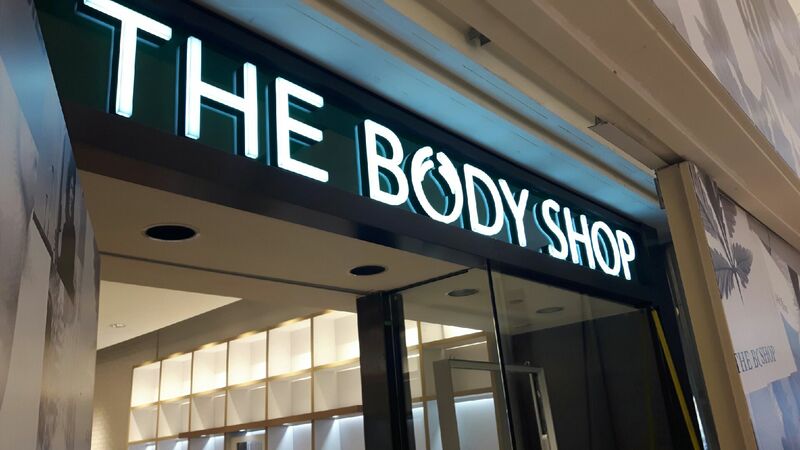 It has focused on working with clients that are adding locations across Canada, including Sleep Country Canada, The Body Shop, jeweller Michael Hill, Dairy Queen, and wellness products retailer Saje. “That allows us to grow along with them,” said Sunset Neon owner and founder David Carley. The company is also doing more work in the United States, which makes up about 10 per cent of its business now. As sales grow, so too does Sunset Neon’s employee roster. The company has recently hired half a dozen staff, bringing the total close to 60. It outgrew its 21,000-square-foot location in Burlington, so Sunset Neon moved to the eastern edge of Hamilton in November. In his Hamilton hometown, Carley found a 50,000-square-foot former printing plant for a good price with great highway access and nearby transit service. The plant features state-of-the-art CNC machines and printers, heavy capacity break and shear machines to form letters, a welding shop, and a new 40-foot paint booth. The cutting and bending work is automated but much of the fabrication and assembly remains in the hands of skilled employees. Sunset Neon started in 1982 when Carley, fresh out of college during a recession, drove around at night to find burned-out signs. He would call the businesses the next day to offer repairs. First he focused on mom and pop stores but then shifted to regional chains in malls. Then Carley saw an opportunity in manufacturing. Though neon has largely been replaced by LED, Sunset Neon’s expertise in bending and repairing the gas-filled tubes landed it one of the most high-profile sign jobs in Canada. The company will work for several months refurbishing the iconic Sam the Record Man sign from the downtown Toronto store. 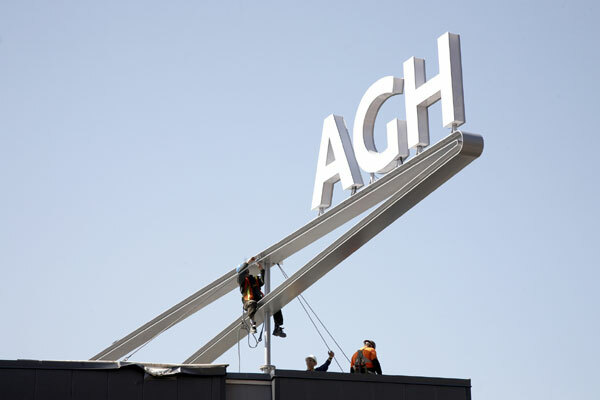 Once it’s brought back to life, the sign will be mounted on the top of the Toronto Public Health building facing Yonge-Dundas Square. It’s a huge project filled with engineering challenges and 2,000 feet of neon tube. “We are all excited about doing this job,” said Carley. Other noteworthy projects include: the signage at the TIFF Bell Lightbox in Toronto; a full spectrum of digital signage for Sheridan College across its three GTA campuses; and the large channel letters at the Art Gallery of Hamilton that cantilever over King Street from the roof of the gallery. Previous articleShop Local. Shop Hamilton.